Product categories of MIG/MAG/CO2 Welding Torch, we are specialized manufacturers from China, CO2 Welding Torch, MIG Welding Torch suppliers/factory, wholesale high-quality products of MAG Welding Torch R & D and manufacturing, we have the perfect after-sales service and technical support. Look forward to your cooperation! EDAWELD COMPANY LIMITED is a Chinese manufacturer main produce welding torches. Like mig/mag/co2 welding torches and their spare parts. 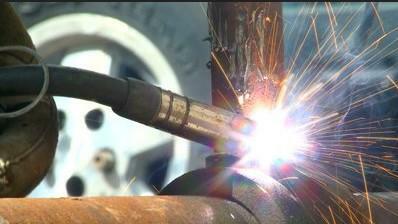 MIG/MAG/CO2 Welding Torch has its own characteristic. a flexible, easy to use, simple process, welding safety, fast, reliable welding, simple maintenance, and the advantages of small investment in equipment.Manual welding guns are widely used in industrial manufacturing. We now have a wide range of welding gun models and types. Such as selling in Europe,BZL type air gas cooled 15AK,25AK,24KD,25AK,36KD, Trafimet Type,TWC type etc, water cooled Welding Torch we have 501D, AW4000 and 500A type. Asian model, we have PAN,OTC, American type we have 300E, 400E, 500E etc. We also welcome customers make their own brand welding torches, we always provide logo label and logo color boxes. Our company always provide good quality and cheaper prices mig welding torches, welcome contact with us.